Account Aspects Bookkeeping Newcastle uses Xero and Cloud based software to empower business owners to grow their business. Account Aspects bookkeeping Newcastle was established in 2002 by Leigh Cummings. Through the combination of experience and qualifications, the Account Aspects team understands the importance of ensuring the numbers are accurate and in balance. With a passion for helping business owners achieve their goals, we offer a range of bookkeeping packages to suit your business requirements. 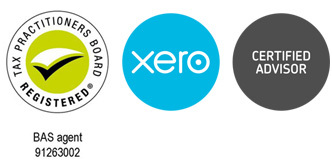 Experience, Meticulous, Supportive Bookkeepers using Xero Bookkeeping Services. Leigh’s qualifications include a Certificate IV in Accounting and a Registered BAS Agent. The Bookkeeping Industry is regulated to ensure that Bookkeepers are qualified and abide by a code of conduct. When choosing a Bookkeeper ensure you check for registration through the Tax Practitioners Board Website. Communication and putting systems into action is the key to her success. Account Aspects Bookkeeping Newcastle services include Goal Setting, Management Reporting, Accounts Receivable and Payable, Payroll, Compliance and BAS preparation and lodgement. We’re experienced, registered BAS Agents through the Tax Practitioners Board and Xero Certified Advisors. Trusted Reputation, Confidential, Focused on Client’s Vision. Direct Opinions, Joint Accountability through a Transparent Relationship. Passionate, Accomplished Professionals, Meticulous in our Approach. Say it, Own it, Do it, Disciplined to meet Deadlines. Respectful Partnership, Expanding Knowledge, Enhancing Confidence. Forming trusted relationships with our Bookkeeping Clients is a core part of our business. Here you will find honest and true testimonials from our clients. Figures and I do not have a happy one-on-one relationship! I find them confusing. They are my ‘red frog’. Enter Account Aspects to help with my Bookkeping and I am now free to work on the things I am good at and the things that I love working on – consulting, training, facilitating and public speaking. Account Aspects created a system that works for my business. If I have a query – they respond quickly. And they always go the extra mile. As if that wasn’t enough – my accountants bill is now less – because everything is organised and accounted for. I cannot recommend Leigh Cummings and her team highly enough! I can’t recommend Leigh highly enough. Her attention to detail and high standards in her work is first class. Leigh was able to understand my business requirements immediately and made everything work smoothly with my Xero and bookkeeping. I first started working with Leigh from Account Aspects out of frustration as I found the concept of bookkeeping was not my expertise. I wanted to focus on my consulting work – not try and figure out my accounts. With no support from my bookkeeper I was unsure whether the work was accurate. Account Aspects changed my systems to Xero which gave me an integrated system that I could use to invoice my clients. Since working with Leigh and Megan I have found I am more in tune with my business and my cashflow is in control. I feel I can trust them to get it right and they are always happy to assist me in a way that I can understand. I have been in business a 11 years and cannot stress enough, the importance of a good bookkeeper. Account Aspects, Leigh Cummings, really cares about her clients. Not only does she balance my books, she also gives sound accounts advice. If I had to rate them out of 10. I would give them an 11+ for me its all about the other things they do, like explain the why things are necessary, making sure I understand the reports as well as being at the other end of the phone when you need them. I could not recommend them more highly. We first sought help with my Bookkeeping as my wife struggled managing the office, the staff and the kids. In 2004, we went to our Accountant Jason Bartlett from DfkCrosbie as we knew if he recommended someone, they were a trusted professional. Leigh at Account Aspects gave us instant relief from the burden of running our administration, payroll & BAS responsibilities. Leigh enabled us to invoice our customers, receive payments without delays improving our cashflow and the ability to measure our goals. I highly recommend Account Aspects for your Bookkeeping needs. Account Aspects provided such great support to help me to grow my confidence with using Xero when establishing my Architecture Business. As a person who is unfamiliar with the financial side of running a business, this assistance was invaluable. As my skills developed, the team at Account Aspects were able to assist me with more complex Xero and bookkeeping queries, and were always prompt with their response to my questions. It is great to know you have a team on your side to guide you through the process of keeping your business in great financial shape! Give me WordPress builds, social media & advertising campaigns, IT tech issues – no problem, love it! BUT accounts? My worst nightmare! My solution? Leigh Cummings of Account Aspects. Thanks to her expert bookkeeping knowledge & some training, I’m now quite comfortable using Xero. Any problems or questions, and Leigh’s just a phone call away – so nice to know there’s support when I need it. AND sssh, don’t tell anyone, but Leigh also takes care of my BAS! Lifesaver! Leigh’s knowledge on Xero and bookkeeping has been invaluable to our business. With an eye for detail and consistently focusing on our business needs Leigh has created a clear, forward moving strategy so that our business can not only grow but flourish. Leigh is a highly motivated professional, who maximises her knowledge and expertise in ways that will benefit any business, small or large. Being analytical and results driven only strengthens her position and would be an asset to any business. Having a manual paper based bookkeeping system, there wasn’t enough time in the day! There is more to managing a demanding bistro than serving quality meals. I spent a good part of my day bogged down with paperwork, running around to all my employees’ banks on payday to deposit their wages and paying suppliers by cheque. Since working with Account Aspects I have had the weight lifted off my shoulders. They taught me how Xero can help run my business more efficiently and overcome my fear of internet banking. I call the team ‘My Daffodil Girls’ because of the new process of using yellow folders to keep me organised. Within a few clicks I can see my sales, manage my expenses and see how my bistro is performing. Payroll is now all processed and paid online. Thanks to the My Daffodil Girls I have more freedom and time in my day.